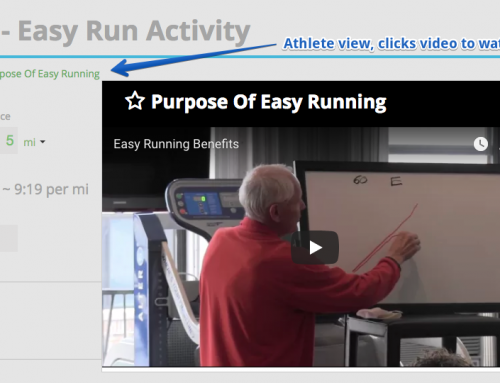 Today we uploaded two new features to enhance the experience on the app for both athlete and coach users. 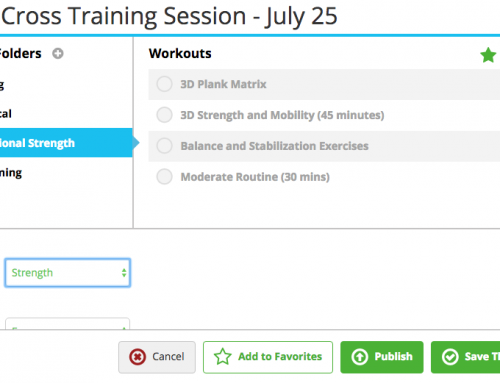 The app now supports workout commenting on Android, iOS and the Web. 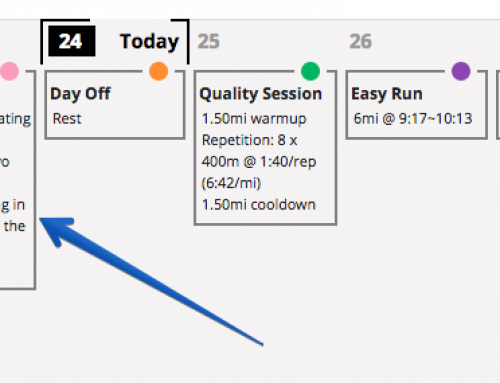 Coaches can still leave workout instructions/notes when planning training but to help make communication on a workouts more seamless we’ve added in commenting functionality. Until today having a conversation in-app on a specific workout was not supported. 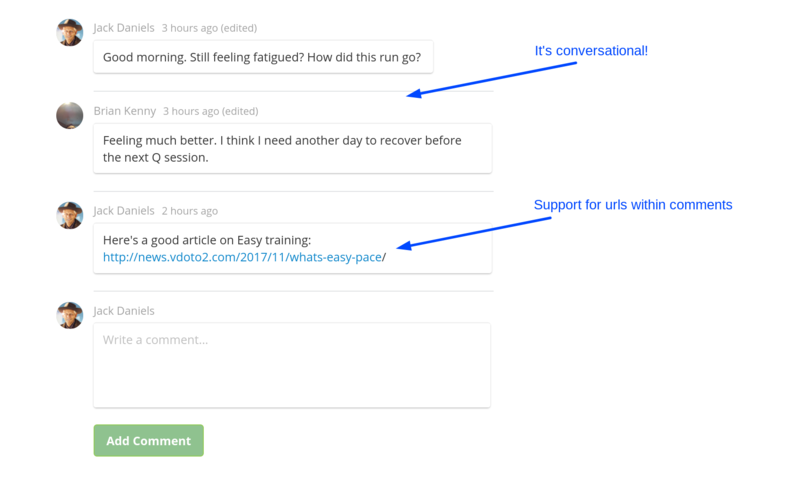 Commenting also supports urls if you want to reference an article or video online. 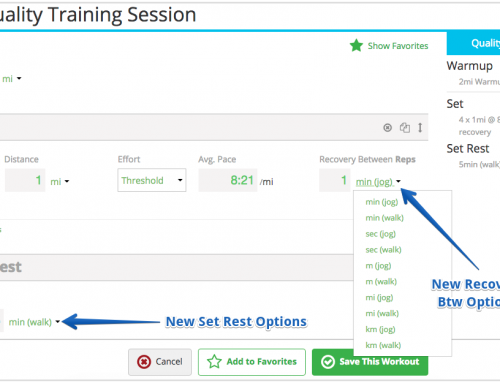 We’ve made it really easy to save a copy of your calendar/workouts. 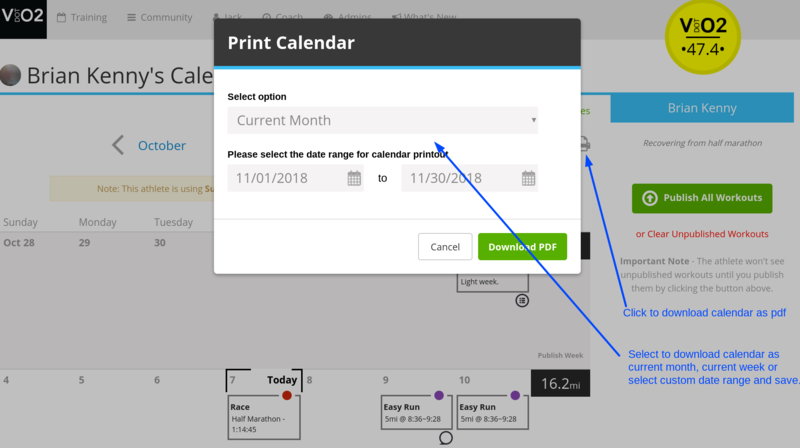 Click the new printer icon above your calendar (top right) and you can now select options to download current week, month or custom date range as a PDF document. 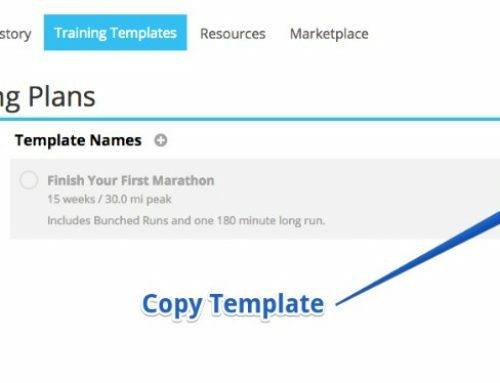 Coaches can print training directly from an athlete’s calendar and athletes can also take advantage of this new feature. Based on feedback we’ve received some coaches like bringing a hard copy to practice and some athletes like to slap their training on the refrigerator or keep handy around the office. We can’t deny your old school sentiments.